Aspiring archers will love this archery coloring sheet. Kids will love this fun volleyball coloring sheet. Future quarterbacks will love this football coloring sheet. Aspiring hockey players will love this hockey coloring sheet. Young ballers will love this fun basketball coloring sheet. Kids will go forty-love with this fun tennis coloring sheet. Young athletes will get a kick out of this fun soccer coloring sheet. Future sluggers will knock it out of the park with this fun baseball coloring sheet. 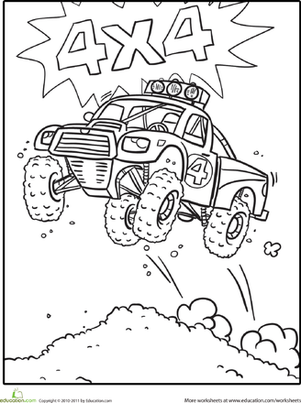 This race car coloring sheet will get him ready for an exciting ride! Print out this sheet for your young car aficionado and he's sure to have a blast. Your child can decide as he adds some colors to this emotions coloring sheet. Your child can decide as he adds some colors to this emotions coloring sheet!